One of the purses auctioned off today to benefit United Way of Lake County. Earlier this year, I was asked to join the Women’s Leadership Council of United Way of Lake County. As Village President, I receive many offers to serve on committees and attend fundraising events for worthy causes, and as much as I would like to, there aren’t enough hours in the day to participate in them all. Today’s fundraiser for WLC, “Power of the Purse,” was a great reminder of why I have chosen to volunteer my time and resources to this impressive group of women. Made up of corporate professionals, entrepreneurs, elected officials, retirees, teachers, stay-at-home-moms and volunteers, the Women’s Leadership Council uses our collective power to make a difference in early childhood literacy programs in Lake County. The “Little Kids, Big Futures” Philanthropy Fund helps provide enrichment such as a kindergarten readiness program in Round Lake, and a Kindergarten Countdown Camp in Waukegan. Our goal in WLC is to do our best to make sure Lake County’s most vulnerable children are prepared to start school on track. Since 2013, the group has granted nearly $75,000 to help prepare our youngest residents to succeed in life. I have had such a positive experience working with and getting to know the other women in the WLC. Today’s luncheon proved that you can have fun and games and philanthropy all at the same time. 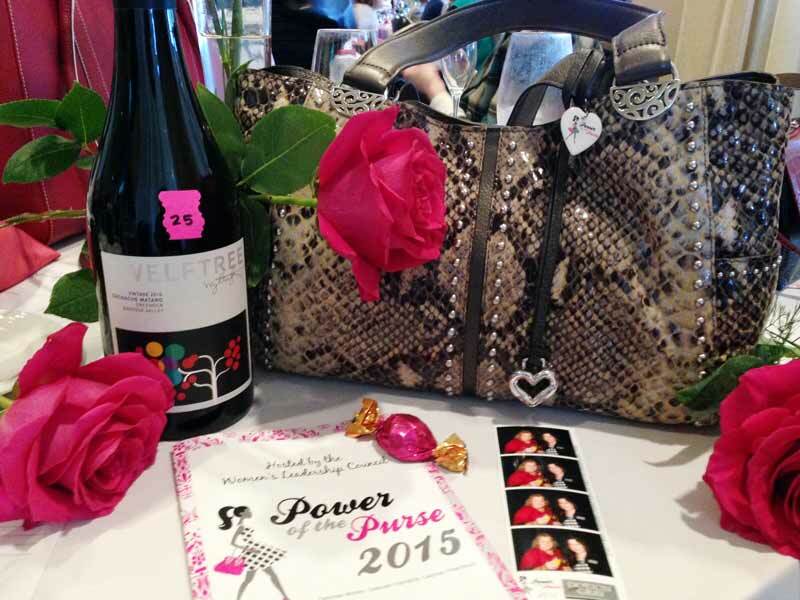 I ended up winning a bottle of wine, and my friend Susan scored a beautiful new purse in the silent auction. We made memories in the photo booth, and helped build a preschool library for an area school. It was altogether a lovely day and proved yet again, dynamic women banding together can enable great things to happen!